What Can You Expect From I.F.S.K.? Welcome to the website for the International Foundation for Spiritual Knowledge. This organization was legally incorporated in April of 1999 as a (501)(c)(3) Non-Profit corporation and is dedicated to promoting the Religion, Science and Philosophy of Spiritualism. The long term goal of this organization is to build the American version of the Arthur Findlay College which is a world famous meta-physical college in England. I have started a GoFundMe site for anyone who would like to make a donation toward this goal. Please see “IFSK Building Fund Contributions” on this website for details. Your gift toward this goal, no matter how large or small, will be appreciated. All of the events and classes my organization does are designed not only to help you learn about Spiritualism but also to help you in your everyday life. Spiritualism can be viewed as simply a way of life. If you would like to be a part of any event or class please feel free to join us, even if you’ve no experience in this field. The journey is lovely. I’ve recently added testimonials to my website. I realized that since you may not know me or my intentions and skills, it would be helpful for my students to explain how my classes and I have impacted their lives. There are several so they should really give you a good idea of what to expect. I’ve recorded and have available for sale the first of a series of meditation CD’s. This first one is basically what I do each month in my Development Classes. It is entitled “Sitting in The Power of Higher Consciousness”. The next CD will be entitled “Good Night Sweet Soul, Sleep Well”. We are just starting to work on this one. The 3rd one will be entitled “Accessing Your Personal Akash to Help You Understand Who You Are Today”. I hope you decide to join us soon. You’re always welcome. 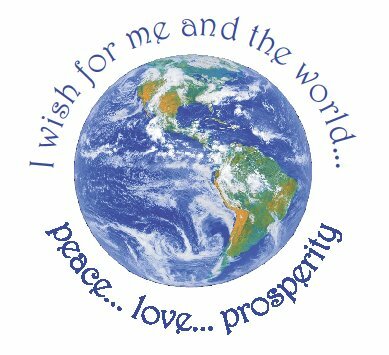 I wish for me and the World…. Peace…. Love.… Prosperity. Our mission is to promote the Religion, Science and Philosophy of Spiritualism in an environment where Seekers can explore and develop freely and safely.